Loved this novella. It had all the action and emotions as a full length book. I was completely sucked in and never wanted it to end. This book started out INTENSE. I mean gut twisting, deep breathing kind of intense. Horrific. But there’s always a light at the end of every tunnel, if you can just hold on and keep moving forward. That’s exactly what Rosie did. She made a bad call, but for the best reason, and it about cost her everything. I’m so glad Snapper took it upon himself to keep an eye out and help her. This was a quick romance that was brewing for a while. I liked that. She wasn’t quick to accept it and I think that was the right thing for her. She had a lot of healing to get through before she could move on to find her happiness. And of course Chaos isn’t always the calmest of people, so there’s always drama and excitement happening. Which is probably why I’m gonna need the next book pretty darn fast. 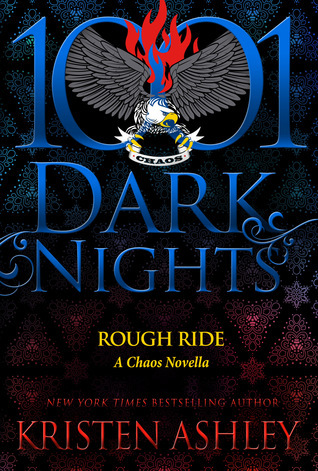 This novella is a continuation of the Chaos books and if you like MC books as much as I do, then you’ll definitely want to start from the beginning. Kristen Ashley knows how to write series that you don’t mind getting sucked into. They’re addicting and very exciting.